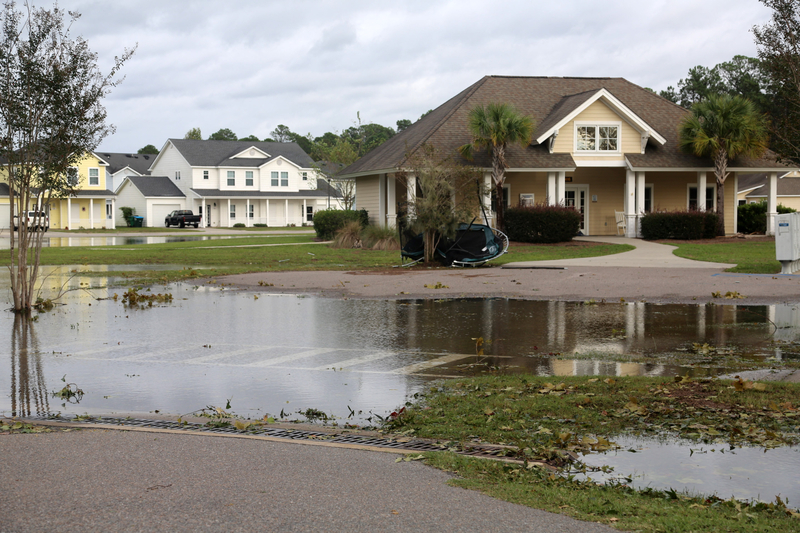 Downed trees and standing water are signs that Hurricane Matthew has made its way through Laurel Bay. Matthew began impacting Marine Corps Air Station Beaufort and Laurel Bay in the afternoon Oct. 7 and lasted into the mid-morning on Oct. 8. Marines, Sailors and Civilians with the remain behind element began assessment and recovery operations as soon as it was safe to do so. The recovery efforts will continue through Oct. 9.